I read this post from Sarah at Beauty School Drop Out and fell in love. This post is inspired by hers, except I got lazy and didn't stick with the cadence of the original piece. both are great pieces of writing. We spend so much time talking and writing about where we are now and where we're going. As we get older, it's easy to let the places we're from slip through our fingers; to forget why we are how we are... what formed us that stayed with us and what we had to break away from. I'm from family gatherings where people arrange themselves in loose circles that expand to fit more and not everyone who is called aunt or uncle is related by blood. I am from talking over each other and laughing loudly and nicknames and telling stories. I'm from encouragement and love and high expectations. I'm from a large high school with a stadium you can see lit up from the highway on Friday nights in the fall. I'm from an area rich in history, filled with commemorative plaques of things that happened as this country was being born. I'm from a line of women who were not afraid to speak their minds and teach little girls that it was right to do the same. I'm from lifelong friendships planted in my youth where those friends know more about me than I can remember about myself. I'm from work first, play later; and do it the right way, not the easy way. I'm from yearly shore vacations, from people who don't miss voting in elections, from rule followers and planners and from Action News fans. I'm from a stay outside until twilight childhood. I am from clean but lived in houses, radios kept on low in kitchens, from the complicated and familiar smell of home. I am from the tomatoes in Pop's garden, the leaf piles at the Legion, the soup on the stove, and the books on every available shelf. From you can't say you don't like it if you haven't tried it and ripe, sweet strawberries for dessert. I am from CCD classes and solemn Sunday mass with my Grandmom, where I sat in a pew and counted beams on the ceiling. I'm from corned beef and cabbage and spaghetti and meatballs and everything baked from scratch. I am from photos in albums and memories in navy lockers and hope chests. Lots of friends out there with birthdays today - HAP, Alicia, Kate. Enjoy, ladies. Treat yoself! What a beautiful post. There is so much good stuff here, it is difficult to focus on any one thing. I would love to know where this amazing place is. I know you are in Philly now (right? ), but is that where you've always been? If I had to pick a favorite line, this is it: "I'm from a line of women who were not afraid to speak their minds and teach little girls that it was right to do the same." i LOVE THIS!!!! it's so amazing to get to know bloggers through their daily/weekly posts but even better to know how/where they grew up. Such a fun and beautiful post. I was of the same school of thought from CCD classes to playing outside until dark, friends I have known my whole life and having a lived in home. So many good memories and good times. I love this so much! What a lovely post! It has me feeling all nostalgic and thinking of my own days of childhood. I love there here and now of blogging but you start to feel more of a connection when you learn about someone's childhood . . . thanks for sharing! Love, love this post so much! I think I might steal the idea too. This was such a great personal post - I love it! I love this post. It's so important to reflect on things like this. you definitely cannot say you don't like something unless you try it. And being from strong, independent women is pretty much the foundation of my life. I love this!! So much of who I am is because of where I came from. And so many "aunts and uncles" who are no blood relation, but just as close! And friends parents who are basically my parents I spent so much time at their homes. Both yours and Sarah's posts are beautiful. So poetic! I didn't do CCD but had friends who did. And my graduating high school senior class was close to 1000. I love the line "I am from talking over each other and laughing loudly and nicknames and telling stories." I am from family dinners together, always. I am from watching TGIF on Friday nights. I am from summer trips to fruit orchards and theme parks. It's super interesting to see how a person's family - and even location - make them who they are. This is a great post to reflect upon Family, friends, and life! I absolutely love this post!!!! We have some similar upbringings :) I think it is important to remember where we are from, especially as we get older and generations shift. I feel like we may have been the last generation that were brought up with true, hard working values. What a fantastic post!! I am definitely from a family that calls everyone cousin/aunt/uncle, even if they aren't really blood related. I'm from the comfy homes that were always enough- nothing extravagant, but filled with so many good memories! I loved when Sarah did this and I love your version, too! I am also from a place where not everyone who is aunt or uncle is related by blood. I can't imagine it any other way. I think I need to steal this post idea. Such a great post! I have to jump over and read Sarah's too. I am from an Italian family with 1 PM Sunday dinners and homegrown & made tomato sauce. I am from a close knit group of friends. Pretty much same as you about the neighborhood and going to church. This post is making me think about how much I miss a lot of the things I grew up with. Things are so different in my family now. I loved Sarah's post also and I like yours too! I'm also from a long line of women who spoke their mind and taught us all to do the same. Love women who speak their mind. this is such a good post Stephanie. Love it. It sounds like an amazing place to be from, and I wish I had some of the same memories / life experiences. Mostly, besides the women who speak their minds (I'm unfortunately from a line of women who seem to attract not nice guys and cower behind them.. but different story) I always wished I had at least one friendship that started in my youth and continued into adulthood, I feel like that would be a special, different kind of friendship. I love this so much. As luck would have it the song Dirt by Florida Georgia Line came on just as I was opening this & went along perfectly... You are definitely from many amazing places & people. Love this. I am so with you on the Action News thing. My family could talk about Action News and the anchors/reporters/gossip for hours. My SIL is from North Jersey and she does not get it lol! I LOVE This! I did this writing prompt in my last year of teaching with my 8th graders from a catholic school of kids from Camden! It was their final writing prompt! I was sooo moved of what they wrote that it prompted me to write my own "I Am From" poem that I read at their graduation instead of the normal teacher grad speech! It chronicled the time I spent in the same classroom as student many years ago to that final year and weeks leading to grad and what they taught me! Brought Graduation to Tears! I still have all of them and plan on mailing their copy to them in May as they graduate from high school to remind them where they are from in their own perspective! Nicole, that is amazing. How special that you saved them and if I got one after my graduation I'd cry! And stay in touch with you forever. You're a great teacher. The piece you wrote sounds amazing too. So sweet :) Maybe I'll do this one day! 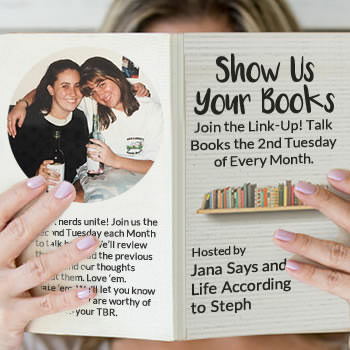 This is an adorable idea for a post and very empowering! It's obvious you are from a lot of great things and people, because you are a wonderful person and blogger. Love, love, love this post. We should never forget where we came from and what makes us, us. I'll have to borrow this post idea from you and Sarah sometime! I love LOVE this so much!! 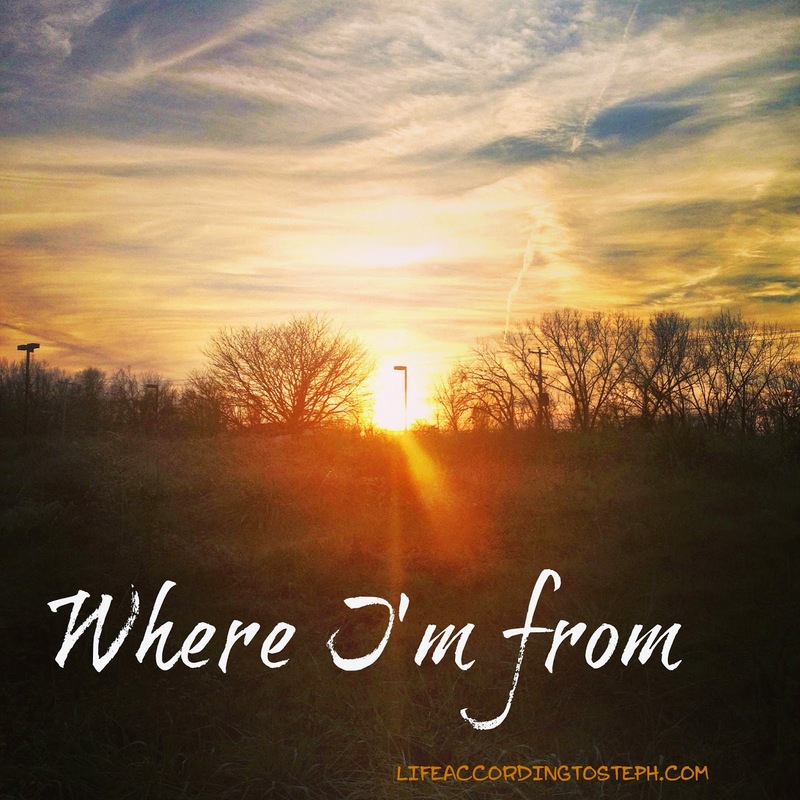 I stole it and wrote my own version of where I am from!!! I did a post like this awhile back, maybe I'll do another one here soon! I love this can I borrow it? Its perfect and what a cute way to learn more about you. Im from big family gatherings also!